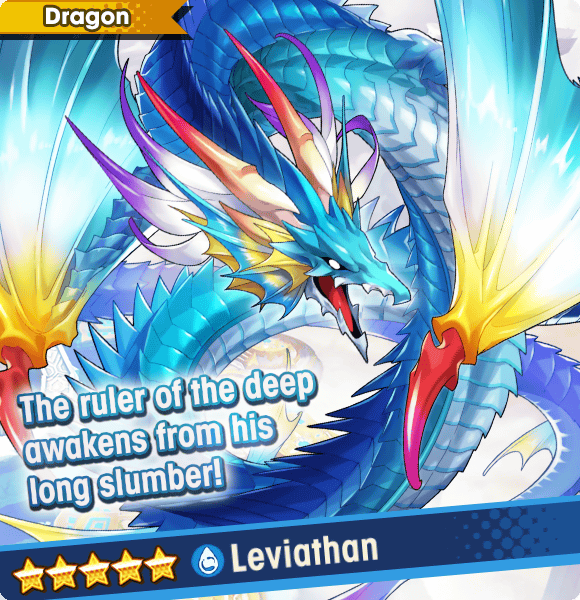 Announcing the Next Summon Showcase: Dragon Special! 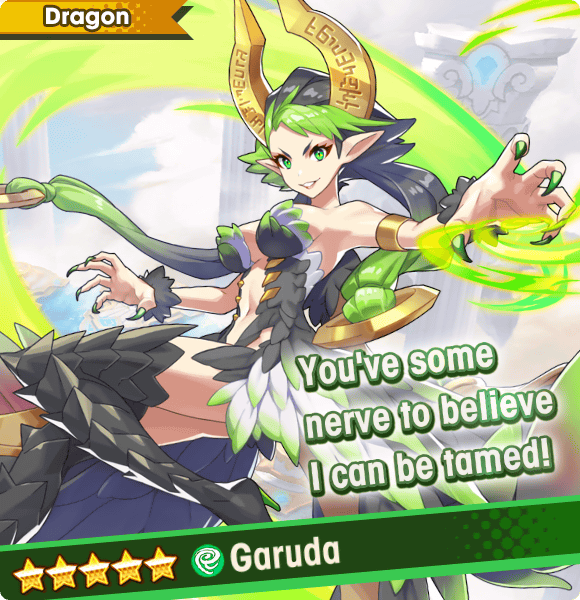 The next Summon Showcase: Dragon Special, kicks off 11:00 PM Apr 11, 2019(PT)/6:00 AM Apr 12, 2019(UTC)! During this showcase, the appearance rates for featured 4★ and 5★ dragons will be increased. On top of that, 4★ and 5★ adventurers will also be featured! The changes to summoning which were announced in the "Regarding Changes to Summoning" notice will be applied after the maintenance planned on 8:00 PM Apr 25, 2019(PT)/3:00 AM Apr 26, 2019(UTC). 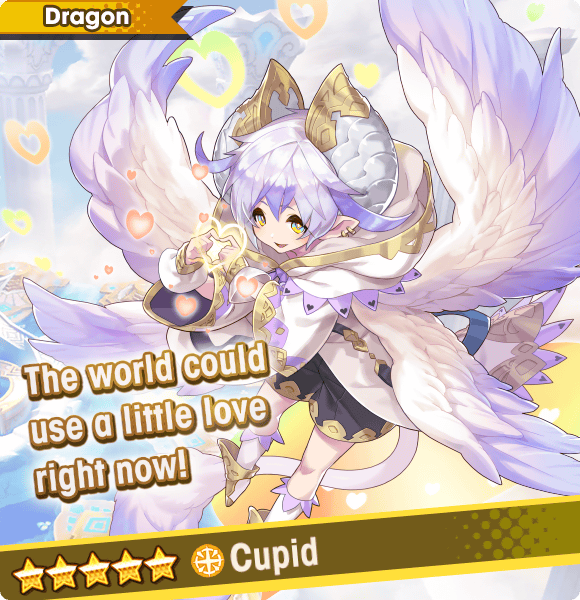 While there are no featured wyrmprints in this summon showcase, they are in fact still included in the pool. This showcase will be available from 11:00 PM Apr 11, 2019(PT)/6:00 AM Apr 12, 2019(UTC) to 10:59 PM Apr 17, 2019(PT)/5:59 AM Apr 18, 2019(UTC). Get a closer look at some of the featured dragons below. A dragon who has slumbered in the depths of the ocean since ancient times. Spoken of in hushed tones as a bringer of calamity, he is in truth a perfect gentleman who loathes his colossal power and what it represents. A dragon who supports all those who are in love. He is quite young and pure, and wants nothing more than to spread love and happiness throughout the entire world. A dragon once revered as a god of protection in a certain village. Though haughty and stand-offish, she secretly wants to be close with those around her. She often acts on emotion, but is ultimately kindhearted and quite responsible.